Julie A. Cockburn is the self-taught cook behind the blog Taste Of The Place and the author of the Taste Of The Place cookbook. She has a special affinity for interesting and authentic foods from around the world, cabernet franc from Washington’s Columbia Valley, and cups of strong black tea served with scones and clotted cream. When not in the kitchen or writing a blog post, you can usually find her trail running in the hills near her home in Central Washington state. 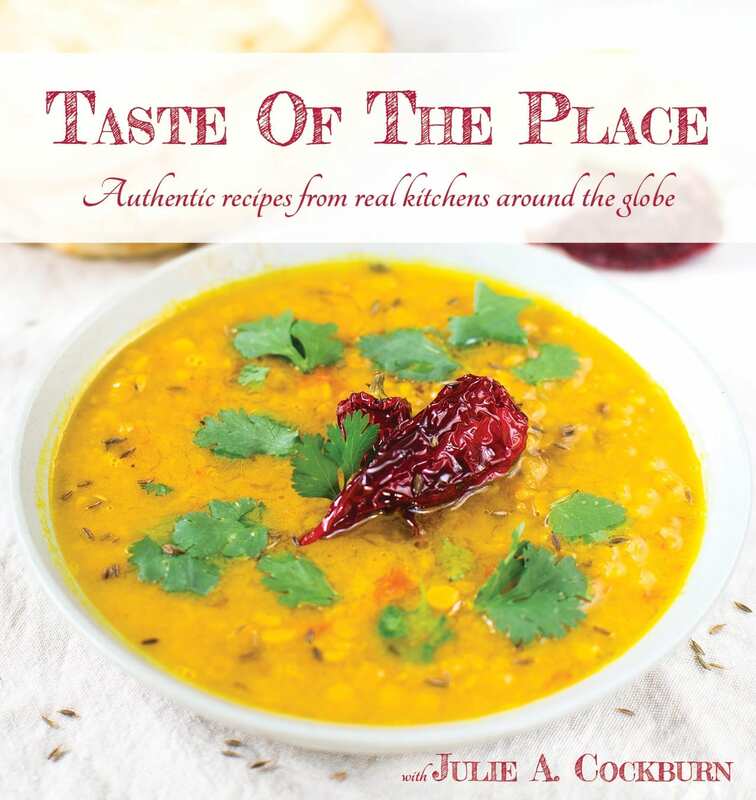 The Taste Of The Place cookbook is a delicious collection of tasty regional recipes shared by real women from real kitchens around the world, intriguing cultural tidbits, and drool-worthy photos that will tempt readers to embark on a culinary journey! Click on the images to see larger and to download. Click on the images to see a larger version and to download. What is the cookbook theme? 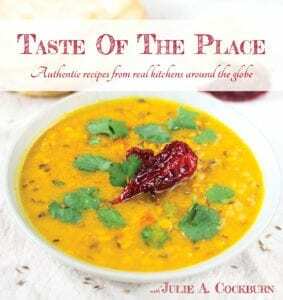 Taste Of The Place is an international cookbook featuring 13 different regions from around the world. Each chapter focuses on one region, with recipes and interesting culinary tidbits and stories contributed by a woman with roots in that area. The individual chapters are each crafted to make one complete meal, with appetizers and sides, an entree, and a dessert that is indicative of that area of the world. What are the featured regions? 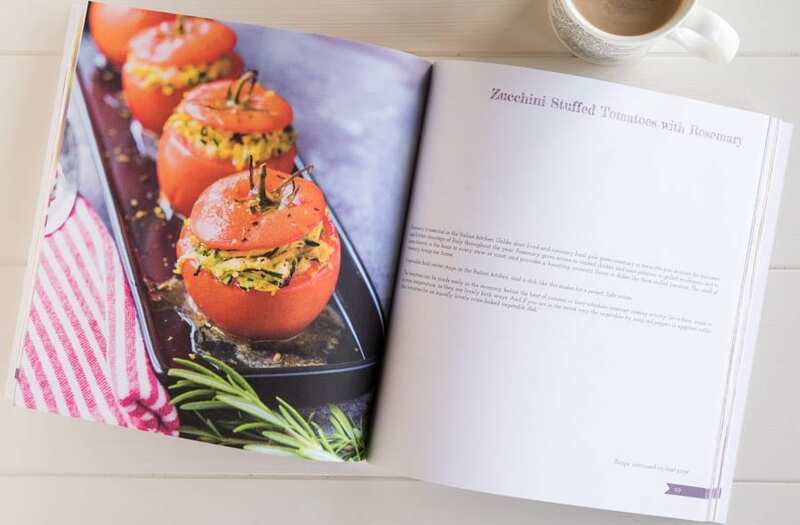 What inspired you to create this global cookbook? The Taste Of The Place cookbook was inspired by my realization after a magical dinner on the Oregon coast that every meal has the potential to tell the story of a place. The ingredients, the flavors, and even the cooking techniques give us a glimpse into the history, culture, and land of that particular part of the world. How did you select the contributors? I originally met all the contributors through my work with the Jamie Oliver Food Revolution ambassador program. I was inspired by each of these 13 women not only because of their love of delicious and REAL food but because of their passion for exploring and sharing their own unique cultures. So when it came time to begin the Taste Of The Place cookbook project, they were the perfect, natural fit. It’s an international cookbook. Does that mean the ingredients are hard to find? While there are certainly some exotic ingredients featured in some of the recipes, I have provided explanations and substitutes for difficult to find items. I wanted to make sure the recipes were as accessible as possible. Collecting, testing and compiling recipes from food contributors around the world must have been exciting and overwhelming at the same time. What were the biggest challenges and learnings? There were certainly a lot of challenges to gathering and preparing these recipes to go to print. In some cases, language barriers were a challenge, and of course, there was the issue of converting units and measures. But the biggest challenge was trying to interpret ingredients that are commonplace in one culture, but unknown in North America. For example, in Romania, they have a very different cheese culture than we do here in the US, and there isn’t a lot of online information to help out. I actually spent weeks researching and then testing cheeses for the Romanian Tocinei (potato pancakes) and Papanasi (cheese donuts) recipes before finally settling on what I thought were acceptable substitutes to the traditional Romanian cheeses. I have to admit – it was a tasty challenge! 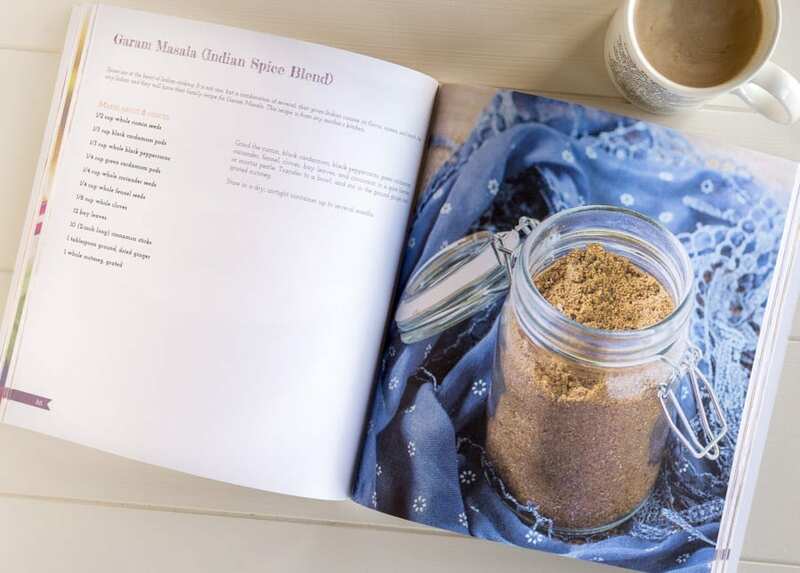 Your book is such a celebration of not only recipes but stories and traditions of cultures from around the world. Was there a particular cuisine or dish that really stood out or resonated with you? 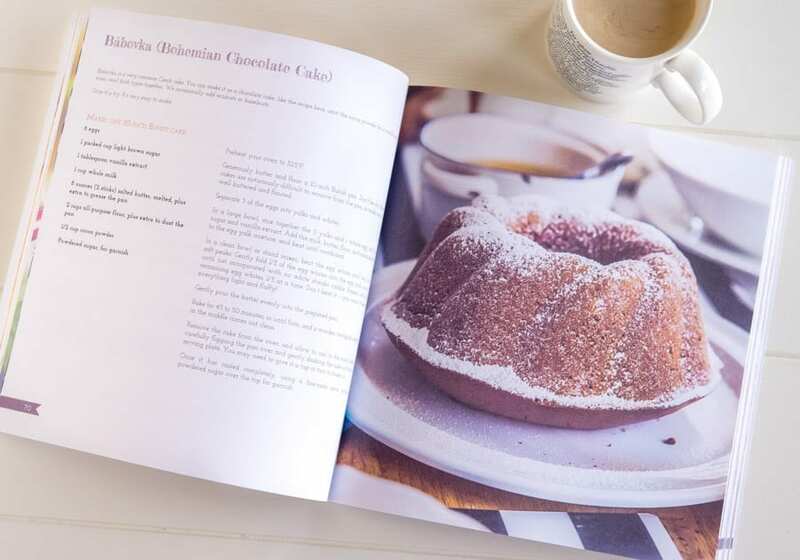 Of course, I love all the chapters in the cookbook and have many recipes that I regularly make at home for my family, but yes, I do have my favorite favorites! I love savory, spicy beef dishes, so the Jordanian Royal Kebabs and the South African Bobotie are personal favorites. What is your aspiration for this wonderful and collaborative project/cookbook? My hope in sharing all these beautiful recipes and food cultures is that readers will be inspired to embark on a culinary adventure. 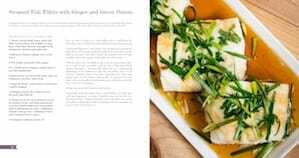 I believe that by reading the personal stories that accompany the recipes, and tasting these dishes from around the globe, that they will gain a deeper understanding of and connection to not only the regions featured in the cookbook, but also to the rich diversity that the world has to offer. Have you traveled to all of the locations featured in the book? I wish! I certainly hope to someday! The book will be available starting June 26, 2018, with pre-ordering available in late May at TasteOfThePlace.com. 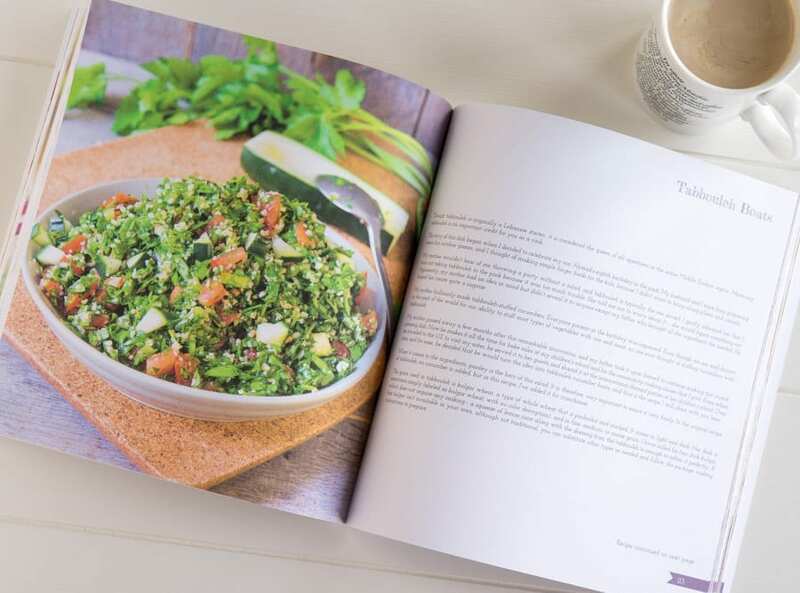 Where can people learn more about you and the Taste Of The Place cookbook? 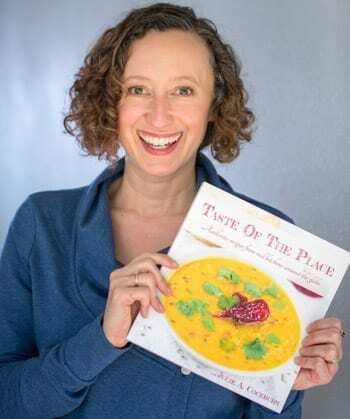 The best place to learn more about me or the Taste Of The Place cookbook is on the website at TasteOfThePlace.com. I’m also on Instagram and Facebook at TasteOfThePlace and Pinterest as JulieACockburn.